Preserve your memories or present a special award. Whether it's a picture of your favorite pet or a photo of your wedding, it can be preserved. 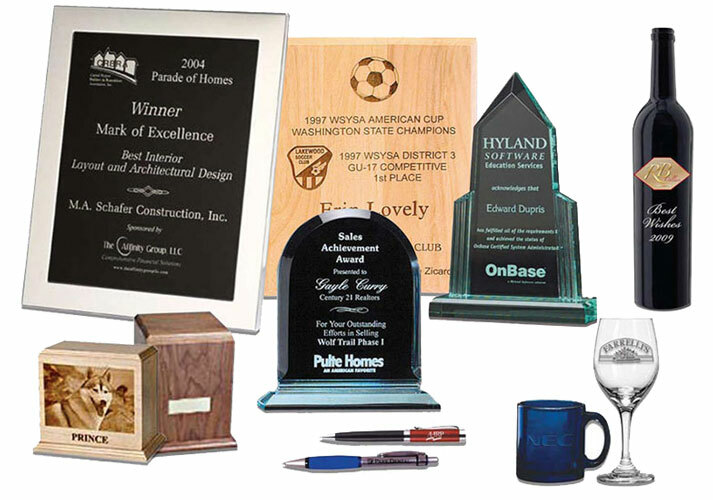 Commemorate an employee of the year or a sporting event. We can etch photos, logos and text onto wood or glass plaques, urns, pens, crystal, clocks or glassware, customized to fit the occasion. We offer the full line of Airflyte Recognition Awards. Browse online or download the full catalog and call or e-mail us when you are ready to order. Not sure what you want? Let your imagination soar and ask how we can produce it. Our experienced customer service staff can help you select just the right item.